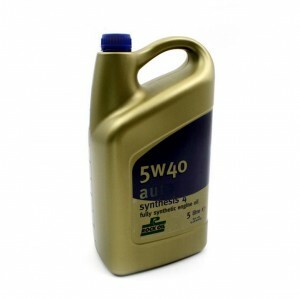 5 Litres of Performance Engine Oil. Compliant with all standards including vehicles with fitted additional particulate filters. Robust Container. With the introduction of the latest API and ACEA specifications Rock Oil has produced the Synthesis 4 Auto engine oil range which provides the ultimate in engine lubrication. This range of products is suitable for fuel-injected petrol engines including those fitted with exhaust gas recirculation (EGR) and Three-Way Catalysts (TWC). It is also suitable for turbocharged and intercooled direct injection diesel engines that are not equipped with Diesel Particulate Filters (DPF).